In the last chapter of “The Day Aviation Changed”, we saw how one man’s ideas radically changed the shape of aviation. In this chapter, we will see how one man’s experiments paved the way for mankind’s first powered flight. Giving Cayley all the credit for the invention of the modern airplane would be too simplistic, for two reasons. Firstly, because there was a reason why George Cayley got interested in flight in the first place: hot air balloons. During the late 18th and early 19th centuries, Europe was undergoing a general balloon craze – so it doesn’t come as a surprise that Cayley turned his attention towards flight. If you pardon the pun, hot-air balloons were the hot topic for all would-be inventors. After Cayley’s death came the era of “flying machines” – a time we could mentally associate with those quaint black-and-white pictures of bizarre machines with numerous wings and propellers that never took off. This was an age when many engineers, inventors and charlatans alike would design their own “flying machine” and present it in public. Many of these inventors would claim that their contraption would be the first one to actually fly. But this never happened. Aviation was going nowhere. These people were trying to run before they had learned how to walk. At that time, many technologies weren’t mature enough for powered flight – propulsion being the most prominent one. Most importantly, the knowledge of aerodynamics was very limited. By that time, in fact, the scientific tools of aerodynamics weren’t developed enough to be able to predict a wing’s performance. All knowledge was empirical; all design was done by trial and error. So, if all knowledge of flight was empirical, who could blame these people for their lack of it, since nobody had ever flown before? This chicken-and-egg problem would hamper aviation’s development, until a German engineer decided to tackle the problem of flight in a simpler way (this is always a good idea in engineering). He couldn’t run, so he decided to learn how to walk. He couldn’t fly, so he learned how to glide. 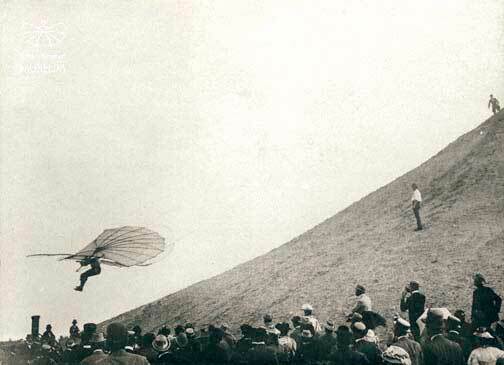 The man’s name was Otto Lilienthal, and his life would have well served for a Hollywood film. Lilienthal was born to a middle-class Prussian family in 1848, right around the time when Cayley’s first flights were taking place. Manned flight was his passion from childhood on. He worked for several years as an engineer, and through some of his inventions, earned enough financial freedom to pursue his interest in manned flight. At that time, the general perspective on flight was that its main difficulty was getting airborne. What happened afterwards should be as simple as steering the aircraft around the air, as if it were a carriage. Little attention was paid to how to actually control a flying aircraft. Lilienthal thought that before he tried to put an engine on an aircraft, he first had to find out how flight actually worked, and how to manoeuver in flight (this corresponds to the modern notion of “flight dynamics”). He took the “getting airborne” part out of the equation and decided to test his ideas in gliding flights out of high places instead. Lilienthal flew his first glider (a hang glider to be precise) in 1891, and accumulated a total flight time of five hours in 2000 flights until his death in a crash in 1896. During that time, he designed and tested a dozen of prototypes, and even built an artificial conical hill so that he could always fly into the wind, no matter what direction it came from. 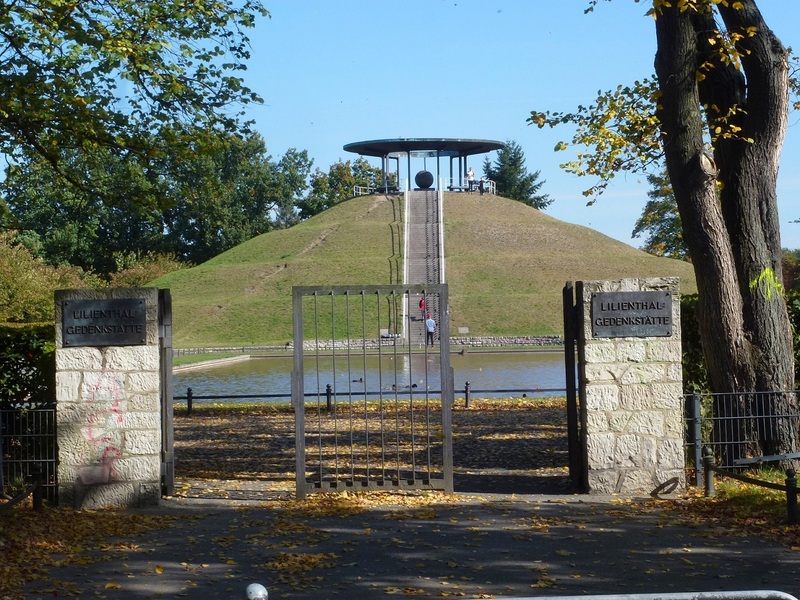 (A small side note: this hill, known as the “Fliegeberg” (Fly Hill) is now a memorial for Lilienthal. It is located in Lichterfelde, near Berlin). Despite his early death, Lilienthal had enough time during his five years of experimentation to radically change aviation in two ways. Firstly, he was the first person to accumulate actual in-flight experience. He was the first person to understand flight dynamics. He learned numerous lessons from his flights, and then put these lessons into practice. He is often credited for being the first man to successfully control an aircraft in sustained flight. Secondly, Lilienthal made a conscious effort to make his flights public. He regularly explained his experiences in periodic publications. Pictures of his flights were published on magazines and newspapers, showing the world that flying was indeed possible. He corresponded with many people, including two men that will become pivotal later in this story: Nikolai Zhukovsky, and Octave Chanute. 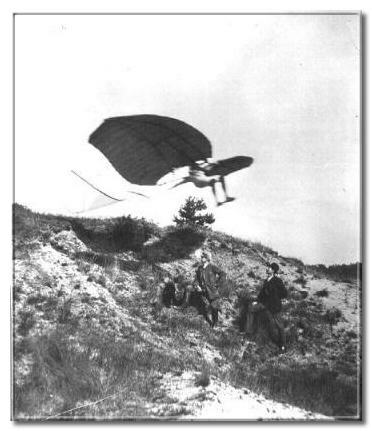 Lilienthal had learned to glide. Now it was somebody else’s turn to learn how to fly. The story of the first powered flight, in the next chapter of “The Day Aviation Changed”.